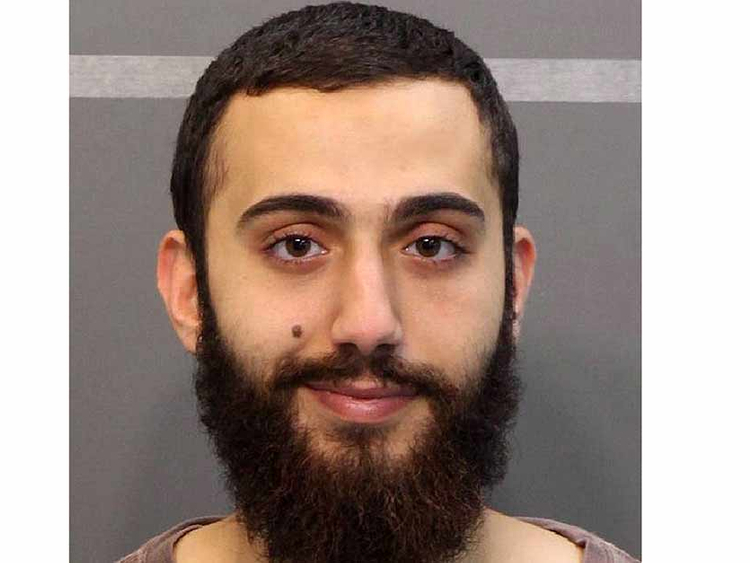 CHATTANOOGA, Tennessee: A few months before he killed five US service members in a shooting rampage here, the 24-year-old gunman, who often joked that he was just an “Arabian redneck,” was smoking marijuana with friends. It was getting late and Mohammad Yousuf Abdul Aziz had work the next morning at his new job some two hours away in Franklin, said a close friend who was with him that night and spent several hours with him in the days leading up to the shooting. Abdul Aziz dropped off a couple of his friends at their homes on the night in April, snorted some crushed caffeine pills and started to drive. The portrait emerging of Abdul Aziz isn’t one of a committed Muslim or vengeful jihadist, but rather an aimless young man who came from a troubled home and struggled to hold down a job after college, said friends and law enforcement officials. In a statement, his family said Abdul Aziz’s mental illness had contributed to the crime. “For many years, our son suffered from depression. It grieves us beyond belief to know that his pain found its expression in this heinous act of violence,” the statement said. Abdul Aziz had been in and out of treatment for his depression and frequently stopped taking his medication, despite his parents’ pleas for him to continue, said a person close to the family. Abdul Aziz smoked pot occasionally and then would feel guilty for violating his faith and beat himself up for it, said the close friend who has known Abdul Aziz for 15 years and was recently questioned by the FBI. The friend, also a Muslim, spoke to The Washington Post on the condition of anonymity because he is concerned for his family’s privacy. The friend said Abdul Aziz was especially ashamed of his DUI arrest, which led to his mugshot being posted online and in Just Busted, a newspaper sold at local gas stations. Abdul Aziz’s friends said he liked to shoot guns, drive four-wheelers through the mud and hike in the mountains. Within the past year, he bought two assault rifles — an AK-74 and an AR-15 — and a Saiga 12 pistol-grip shotgun from an online weapons site. Abdul Aziz and his friends would drive out to the Prentice Cooper State Forest, where they would blast away at the state park’s gun range. None of his friends thought twice about his decision to purchase military-style assault weapons. Abdul Aziz’s father was angry when he spotted one of the assault rifles in their home, and Abdul Aziz hid other guns from him. “His dad was always against him having guns and said they weren’t safe to have around the house,” the friend said. Abdul Aziz insisted that he was old enough to handle them responsibly. The friend and Abdul Aziz — along with two other young Muslim men — spent hundreds of hours together over the past four years, including the weeks and months leading up to the violent attack. Sometimes they talked about the Middle East’s bloody wars, such as the battles between Israel and Hamas in Gaza and the chaos in Syria. Abdul Aziz blamed some of the bloodshed on US foreign policy. Indeed, the most striking thing about the last days that Abdul Aziz spent with friends is how normal they appear to have been. Two days before the shooting, he texted his friend to ask if he wanted to go hot-rodding outside Chattanooga. The two men met up later that night around 11pm and took off in a Ford Mustang Abdul Aziz had rented — the same car that he used in the attacks. They drove for hours around the curving mountain roads surrounding Chattanooga. “We talked and had a lot of ‘oh [expletive]’ moments,” said the friend who recalls returning home around 3am. Wednesday. Abdul Aziz responded with a quote from the Prophet Mohammad (Peace Be Upon Him) — that speaks to the tensions in the world between believers and non-believers. “Whosoever shows enmity to a wali [friend] of Mine, then I have declared war against him,” it begins. It ends by encouraging devout Muslims to keep the faith and draw closer to God. Although the exchange suggests Abdul Aziz was devout, he often seemed to struggle with his faith. Abdul Aziz was fasting for the Ramadan holiday, which requires Muslims not to eat or drink during daylight hours. But he doesn’t appear to have regularly attended his parents’ mosque in the months leading up to the shooting, according to members of the Islamic Society of Greater Chattanooga. Abdul Aziz also struggled to find work after he graduated from the University of Tennessee at Chattanooga with an engineering degree. He briefly landed a job at a nuclear power plant in Ohio, but was dismissed when he failed a background check. He told friends he had failed the company’s drug test after smoking marijuana. Back home, his family also appeared to be struggling. His mother had filed for divorce in 2009, alleging physical and sexual abuse, but later pulled the petition. In recent years, their house, in a middle-class suburb of neatly tended lawns and towering oaks, began to fall into disrepair. The home’s wooden clapboards are warped, and the grey paint is peeling. The lawn is badly overgrown. Issa wondered if Abdul Aziz had been radicalised during his several trips to Jordan, the last in 2014 when he was in the region for seven months. Others who knew Abdul Aziz when he was a mixed-martial-arts fighter reflected on his time in the ring, searching their memory for signs of potential violence. Chet Blalock, owner of Blalock’s International Mixed Martial Arts Gym in Fort Oglethorpe, Ga., described Abdul Aziz as “very respectful” but stubbornly determined. Less than two hours after the violent rampage, Abdul Aziz’s friend texted him to check when they’d be able to meet up for the Muslim holiday of Eid. He’d seen the news alerts about the shooting in Chattanooga and wanted to talk about it with Abdul Aziz, who he assumed was still at his new job outside Nashville. By that point, Abdul Aziz was already dead.